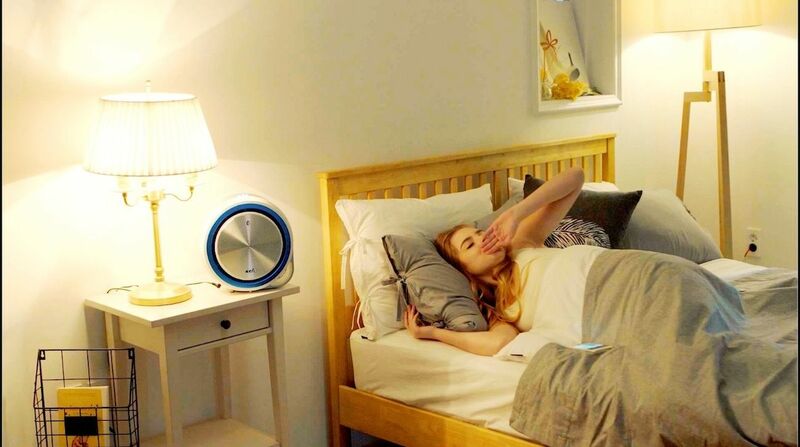 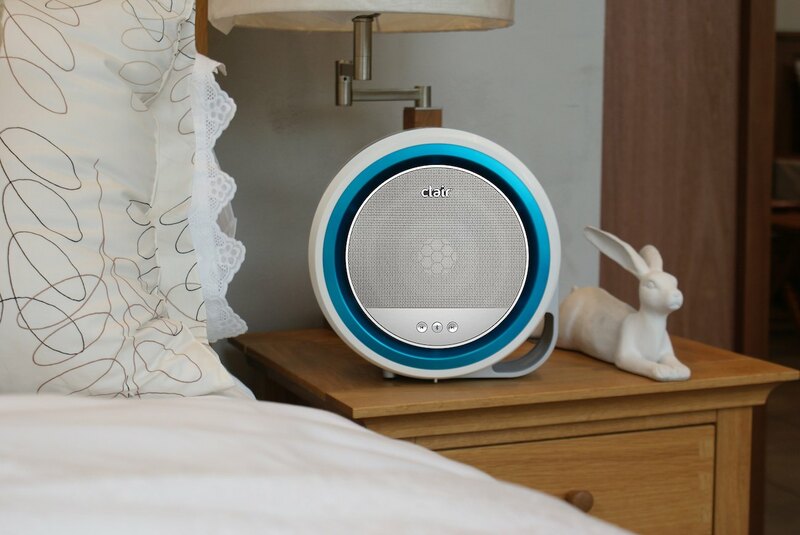 Air purifier, Bluetooth speaker, Noise machine and Alarm clock with App to improve sleep quality. 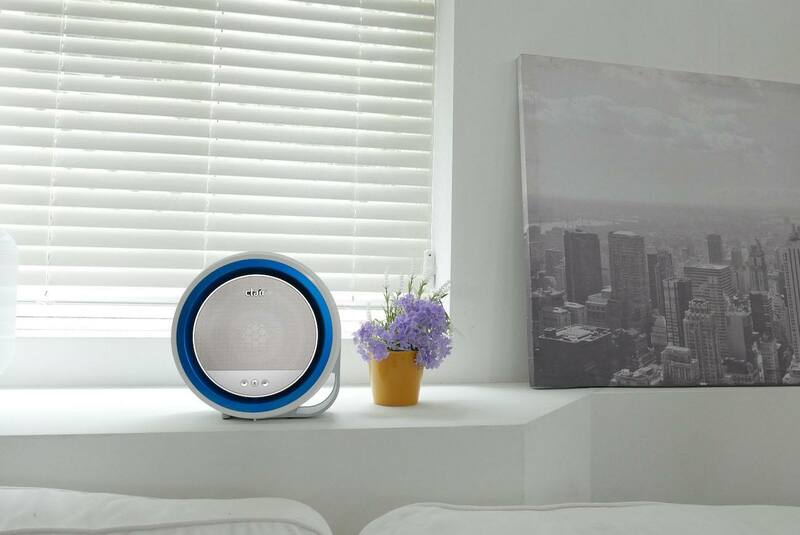 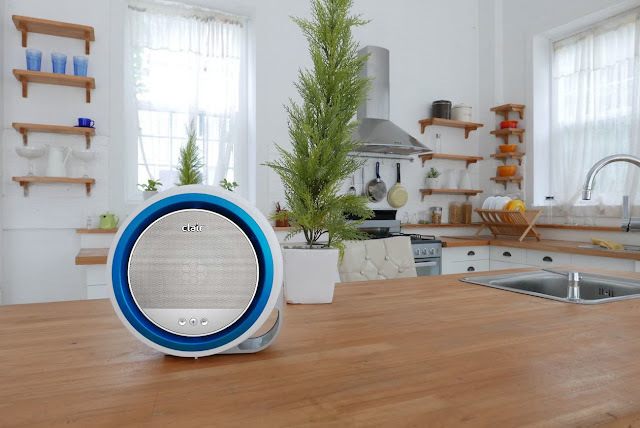 An air purifier equipped with a Bluetooth speaker and a companion mobile app will improve your sleep quality, while our patented e2f technology filters out micro-dust particles as small as 0.1µm, viruses, bacteria, allergens, pollen, VOC and even harmful chemicals. Soothing sounds played through clair-S will bring positive therapeutic effects and deeper sleep, by masking unwanted frequencies with the sounds of nature, white noise, and music. People start their day hearing a loved one’s voice, cooking to music they like, reading a book, and later falling asleep listening to nature sounds. When your day has Clair's clean air and sweet sounds, your day is perfect.